I asked Jesus, "How much do you love me?" Jesus answered, "This much," stretched his arms out, and died for me on the cross. 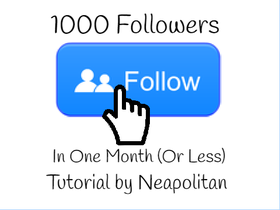 How To Get 1000 Followers In One Month!